Two months into the 2007 baseball season, novelist Jane Heller, an obsessed Yankee fan heartsick over their poor play, announced her intention to divorce the team, on grounds of mental cruelty, in the pages of the New York Times. Her words inflamed the passions of sports lovers across the country, and her piece quickly became the newspaper's most e-mailed and talked-about article in the week it ran. The intense reaction of fans forced Heller to look inward, and to re-examine her feelings about winning and losing. Was she a "bandwagon" fan, as some branded her? A traitor? Confessions of a She-Fan is a witty, observant, and decidedly female look at the nature of the bond between fan and team. Jane Heller goes in search of answers. With her husband as her traveling partner, she literally follows the Bronx Bombers through the rest of their challenging 2007 season, hoping to score interviews with the players, watch every game in every city, and inject some excitement into her marriage. 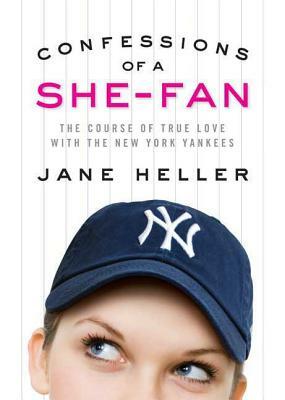 Through interactions with other fans, as well as members of the media covering the Yankees, plus game-by-game analyses, Heller learns personal life lessons about competition, loyalty, and acceptance—and about why baseball, like any truly romantic relationship, requires commitment, patience, and a deep, abiding love. JANE HELLER, after nearly a decade of promoting writers, launched her own career as a successful novelist. Her comic, breezy tales are now entertaining millions of readers around the world. She is the best-selling author of 13 books including An Ex to Grind, Name Dropping, Female Intelligence, Princess Charming, and Lucky Stars. She lives in Santa Barbara, California.